Adderall overdose is not rare and its symptoms are typically identifiable in users. The effects may range from mild symptoms such as restlessness and blurred vision, to loss of consciousness and death in severe cases. Can One Overdose on Adderall? How Many People Suffer from Adderall Overdose? What are the Symptoms of Adderall Overdose? What are the Complications of Adderall Overdose? What to Do in Case of Adderall Overdose? How Can One Prevent Adderall Overdose? Adderall is a stimulant drug containing amphetamine and dextroamphetamine. It is used for treating narcolepsy, attention deficit hyperactivity disorder (ADHD), and also as a performance enhancer for athletics. But can you od on Adderall? It is possible and it occurs most commonly in young adults who desire the mental stimulation, physical vigour, and euphoric highs associated its use. However, taking too much adderall may cause serious symptoms. It reaches its peak levels 3 hours after ingesting the drug. Adderall half-life is 9 to 14 hours, and iit takes about 18 to 28 hours before a dose leaves the body. However, it is available in two forms: Adderall IR vs XR. It’s immediate release form lasts only for 3 hours while the extended release form lasts for 12 hours. Dosage – The larger the dose of consumed, the longer it stays in the body, and the higher the risk of developing symptoms of Adderall overdose. One may ask how much Adderall is too much. The usual dose of Adderall pills for adults is 5mg to 60 mg daily in divided doses. The dose may be started at 20mg per day. Doses for adolescents starts at 10mg daily daily and is gradually increased by the doctor depending on the individual’s clinical response. Amounts greater than this may cause serious complications. This means recreational users are more likely to overdose Adderall because of the large doses they consume. Body Form – People who are overweight or with large body sizes usually eliminate it much faster than people with small body sizes. Drug Interactions – Co-administration with certain drugs such as monoamine oxidase inhibitors including Selegiline, increases the duration of stay of the drug in the system, increasing the risk of overdosing on Adderall. A combination of Adderall and coffee is also not recommended because both coffee contains caffeine which is a stimulant, which may exacerbate the stimulant effects of amphetamine. Genetics – Some individuals are fast metabolizers while others are slow metabolizers. Fast metabolizers have the CYP2D6 coenzyme variant. Individuals with this variant eliminate the drug faster, reducing their risk of developing toxic effects. Drugs that inhibit the CYP2D6 coenzyme, such as Bupropion, Paroxetine, and Fluoxetine increases the duration of stay of the drug in the system and, in turn, the risk of developing toxic effects. So for people who may wonder how much Adderall does it take to od may need to check their gene profile. Frequency of Use – The more frequently an individual uses it, the greater the potential of developing Adderall overdose symptoms. The form of the drug (XR or IR) being used also determines how much Adderall to od. The relatively low street value of Adderall and its availability creates the friendly environment for the frequent use. The 2016 National Study on Drug Use and Health revealed that 28.6 million Americans aged 12 and more had used illicit drugs the month before the study. Furthermore, more than 54 million Americans use prescription drugs for non-medical purposes, and the most abused drugs included painkillers, tranquilizers, stimulants, and sedatives. The study reported that more than 1.7 million Americans use stimulants for non-medical purposes; however, doctors still prescribe Adderall as it is one of the most efficient ADHD treatment medicine. 2013 report published on NCBI shows that the number of people who developed Adderall od from non-medical use has increased significantly between 2006 and 2011. Complications from excess non-medical use of amphetamines requiring emergency care visits increased by 156 percent, with friends and family identified as the main source of the drug, according to the research by Lisa L. Weyandt. Young adults between the ages of 18 and 25 constitute the main population who use amphetamines for non-medical use. Symptoms of excess use may occur through any of the routes of administration, including intravenous, oral, and nasal. Another common way users achieve the euphoria is to plug Adderall. The effects of amphetamines reflect the overstimulation of the brain and this is the key difference it has from narcotics. Feeling exhausted and tired on Adderall is one of the side effects of the drug and not necessarily a symptom of too much amphetamine. Symptoms of taking too much Adderall may be mild or severe, depending on those factors which influence the Adderall overdose amount. You may have wondered, can you die from Adderall? Yes, having too much of amphetamine in your system can cause death after consumption of a certain amount. The lethal dose of Adderall is 20 to 25 mg per kilogram of body weight. This means for someone who weighs 60 kg, the dose which can lead to death is 1200mg. Adderall overdose death usually occurs in individuals who use it for non-medical or recreational purposes. Common complications of excessive consumption of amphetamine include seizures, coma, and death. Serotonin syndrome, characterized by nausea, vomiting, diarrhea, irregular heartbeat, coma, and death, results from co-administration with certain antidepressants. Contact emergency care center. In the United States, call the National Poison Center or 911 emergency phone number and follow their instructions. If the symptoms become worse with rapid pulse and breathing rate, contact a local emergency care department. Stay calm while waiting for emergency care. At the emergency care department, the doctors may pump the drug out of your stomach if you ingested it. A sedative is administered if you are agitated. Intravenous fluids will be administered to restore lost nutrients. Detoxification involves gradual elimination of amphetamines from your system and managing the ensuing withdrawal symptoms. It is beyond how to come down from Adderall to sleep, to removing all of its stimulant effects from your system. Treatment is essential to prevent relapse and severe complications of addiction. In addition, for individuals taking it for medical purposes, clinicians may advise them on Adderall alternatives with a good safety margin. To prevent overdose, it should be taken under supervision and not more than the prescribed dose. In addition, do not increase or reduce your dosage without your doctor’s approval. You should also not use it for recreational purposes without your doctor’s consult, so you will better understand your risk of having harmful amounts of the drug in your body. Other ways one can prevent overdose is by preventing tolerance. This can be achieved by co-administering magnesium and Adderall, as well as other medications and supplements such as zinc, choline, and glutathione. Can you overdose on Adderall? Yes, you can and this is a common occurrence among recreational users of the drug. It presents with many symptoms, including death in severe cases. Taking Amphetamine prescription for medical use alone and at doses prescribed by one’s physician are ways one can prevent overdose. 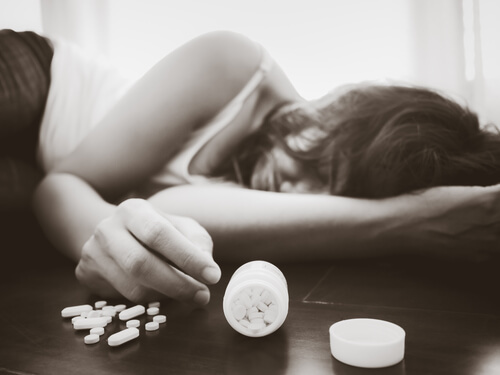 If you are addicted to the drug, you may be referred to an Adderall addiction treatment center for further treatment. You will be managed with a combination of therapies for addicts including psychotherapy and detoxification. If you suspect that you or a loved one may have developed amphetamine toxicity, call our emergency hotline on (888)-459-5511 to speak to a representative on what to do.